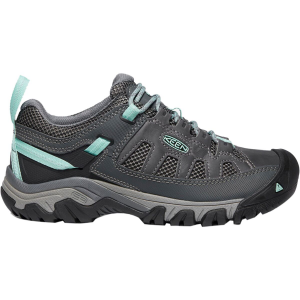 Keep your legs light on the trail with the Oboz Women's Sawtooth Low Hiking Shoes. 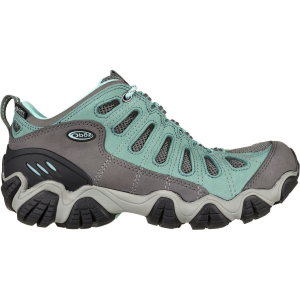 If big boots are a bit too much for most hikes and hiking shoes tend to be too weak for the rugged trails you like to explore, consider these burly yet light hikers. 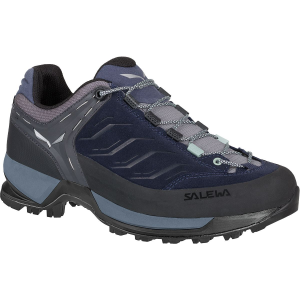 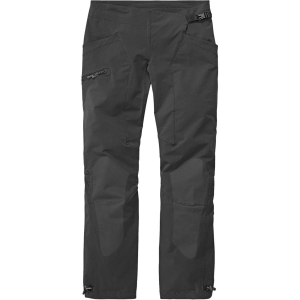 They're breathable, waterproof, and built on an aggressive sole that will bite into everything from packed-out trails below treeline to rocky alpine routes that frequently cross long sections of scree followed by wet and soggy meadows. 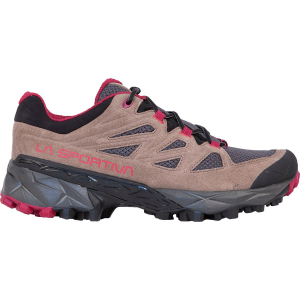 Oboz added plenty of cushioning in the form of a dual-density midsole to support your feet over miles of rough and rugged terrain, then added a nylon shank for added stability when the angle of ascent turns steep.